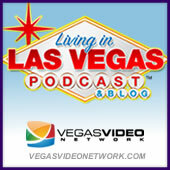 Browse > Home / Audio (now Video), LiLV, Vegas Video Network, Video / #245: Living in Las Vegas CHRISTMAS SPECIAL! #245: Living in Las Vegas CHRISTMAS SPECIAL! On this very special episode of Living in Las Vegas, we celebrate Christmas! We feature music from the ChristmAcoustic and ChristmAcoustic II CDs and, with help from the Vegas Video Network Pantomime Players (Brett, Danni, Lisa, Jesse, and Wayne), we interpret “The Grinch That Stole Christmas” and “Twas the Night Before Christmas”.